Heat Index Calculator, calculate how hot does it feel base on temperature and humidity given. Heat Index Calculator will find the heat index using the Relative Humidity. The Heat Index is used to determine danger zones for heat related illnesses in the summer. Hotter temperatures combined with high humidity can put people at risk for heat stroke. According to The National Weather Service (NWS), 175 people on average die as a result of heat illnesses each year. It is ranked as the number two cause of direct weather related deaths as the body loses its ability to maintain a healthy temperature through evaporative cooling. Like the Wind Chill Temperature Index, the heat index used by the National Weather Service (NWS) in the United States is based on many assumptions such as body mass, height, clothing, individual physical activity, blood thickness, and wind speed. As such, depending how significantly these assumptions vary from the reality of an individual, heat index estimates may not accurately reflect perceived temperature. The equation used to estimate heat index was developed by George Winterling in 1978, and is meant to be valid for temperatures of 80°F or higher, and relative humidity of 40% or more. 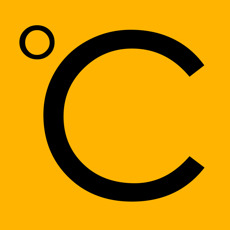 The temperature equivalent perceived by humans as a result of air temperature, relative humidity, and wind speed, is sometimes referred to as apparent temperature. This apparent temperature can have potentially severe medical effects. Under high air temperature and humidity (high heat index) conditions, perspiration is hindered due to reduced evaporation as a result of high humidity. Sweat is the human body's physiological response to high temperatures, and is an attempt to lower body temperature through evaporation of sweat. When this is hindered, overheating and dehydration can occur, with varying severity. Note that exposure to full sunshine can increase heat index values by up to 14°F. Heat index values are particularly important for children. Young children are generally in more danger due to factors including larger skin surface relative to their small bodies, higher heat production as a result of exercise, and typically sweating less than adults. Also, children are often less aware than adults of the need to rest and re-hydrate. Thirst is a late sign of dehydration, and it is important to remain hydrated, particularly before, during, and after outdoor activities, especially those involving heavy physical exertion. In addition to children, people with certain conditions including obesity, diabetes, heart disease, cystic fibrosis, and mental retardation are at greater risk of overheating and dehydration. *The Heat Index calculation may produce meaningless results for temperatures and dew points outside of the range depicted on the Heat Index Chart.